Blueberry is well known for their great taste and the nutrients. According to the New York Times, blueberry is the best health food for teenagers and adults. Consuming twenty to thirty blueberries a day will reduce fatigue, recover visual acuity, and reduce the effects of aging. 1. Clean organic blueberries with water. Non-organic blueberries can be cleaned with lemon, vinegar, or baking soda. 2. Slowly insert into the feeding tube of the juicer. 3. 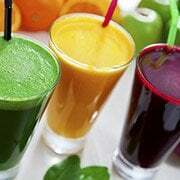 Add filtered water, apple, or pear in the juice. Blueberry preserves anthocyanin which prevents from eye aging, diabetes, and cataracts. Blueberry is great for eye sight. 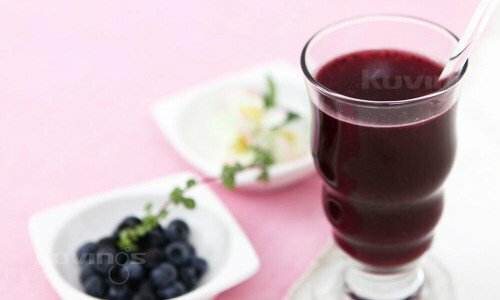 Blueberry may help prevent various diseases like dementia or stroke and contains potent antioxidants.